The Samurai CCTV system is a next-generation device able to autonomously identify and track individuals that act suspiciously in crowded public spaces. Using algorithms that profile your behavior as you walk around in public, it identifies 'typical' behavior to single out the suspicious people. To improve the tracking of an individual at an airport, the system can also learn the routes people are likely to take - straight from the entrance to check-in, say. It can even follow a target as they move in a crowd, using the characteristic shape of the person, their luggage and the people they are walking with, to follow them as they walk between different camera views. Samurai is designed to issue alerts when it detects behaviour that differs from the norm, and adjusts its reasoning based on feedback. So an operator might reassure the system that the person with a mop appearing to loiter in a busy thoroughfare is no threat. When another person with a mop exhibits similar behaviour, it will remember that this is not a situation that needs flagging up. In a recent demonstration, researchers claim that the Samurai CCTV system was able to identify threats missed by human operators using footage collected at Heathrow airport. Sophisticated science-fictional CCTV systems have been watching out for unwanted human behavior for decades. 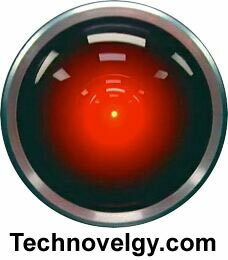 The HAL 9000 computer was notoriously watchful.